How to create PopUps with Mandatory and Optional Tick Boxes. 1. In Step 2 fill out all fields and go to the end of left sidebar. You will see Mandatory Tickbox and Optional Tickbox. When you set up Mandatory Tickbox visitor will be able to submit the lead only after it’s ticked. You can use it, for example, to get a GDPR consent. 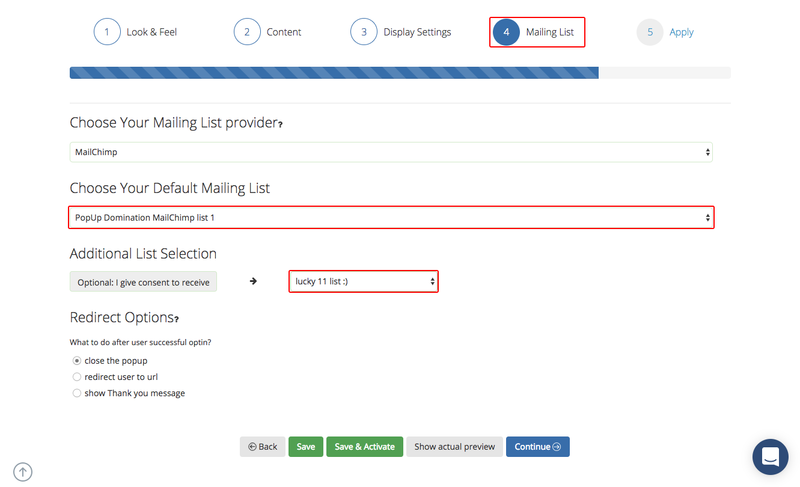 Optional Tickbox gives you an opportunity to add additional Mailing Lists. 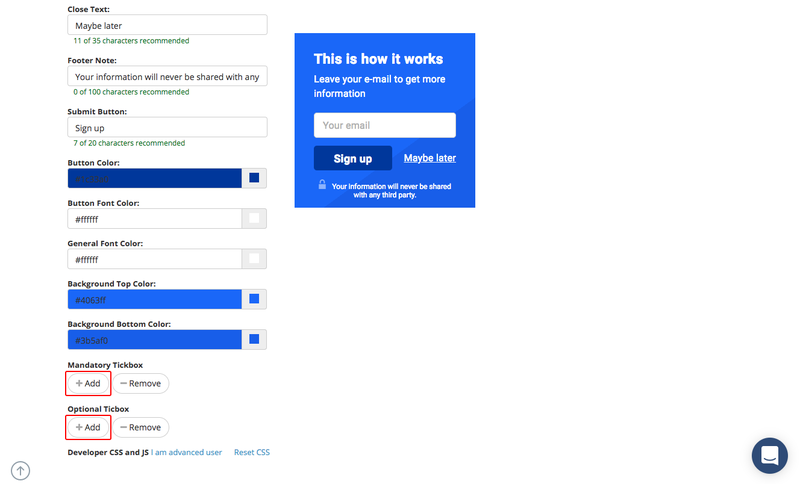 For example, you can set “Join Email List” on Mandatory and “Join Promo list” on Optional Tickbox, this way, when people select only Join Email List – they go to one list, but if they select Join Promo List they go to a list that TAGS then for both Emailing (e.g. blog posts) and Promo (affiliate promotions). 2. For additional Mailing Lists add and name Optional Tickboxes. 3. When done with Step 2 and Step 3 go to Step 4 and you will see additional options where you can map additional lists with your Tick Boxes. Note: This will work only if you have an automatic (API) integration and won’t work with Custom Forms. That’s because no Mailing List Provider provides such a feature yet. Need Help / Any Questions?